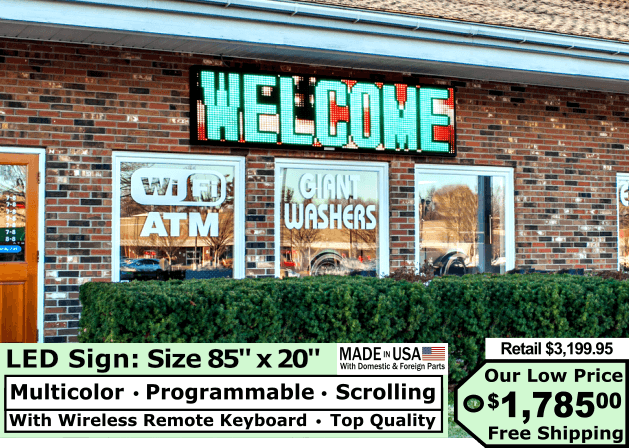 Demonstration Video Size 78" x 16"
- All 20 sizes come with our exclusive wireless remote control qwerty keyboard. 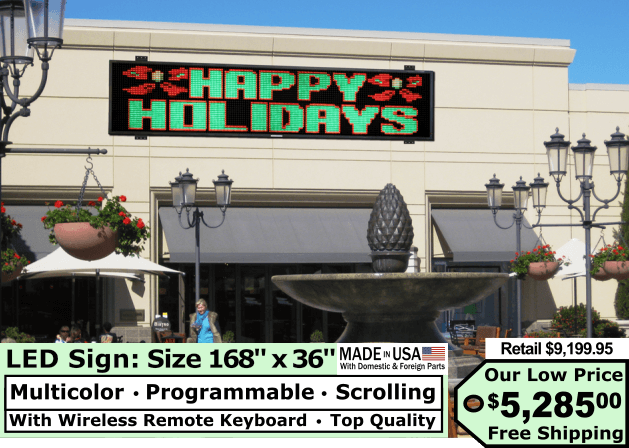 It is bigger, better and more advanced than other LED sign remote controls. It is very easy to operate. You can write and store hundreds of different rotating messages from up to 200 feet away. You can choose from hundreds of built-in moving animated images. Change the scroll speed faster, slower, still, changing or flashing. They can scroll left, right, up, or down. 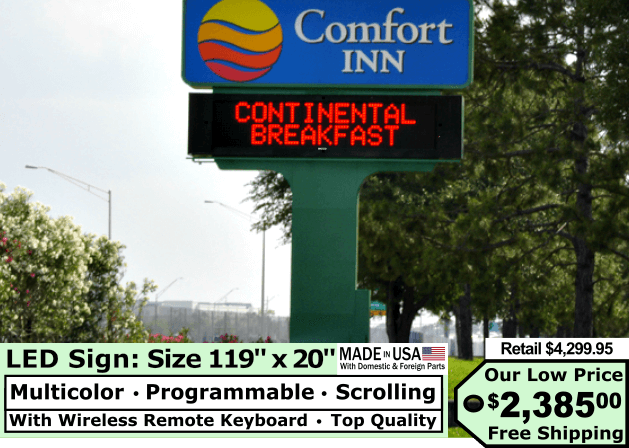 The sign has all the software built-in and you use the wireless remote control keyboard to program it. There is no need for a computer or the Internet. 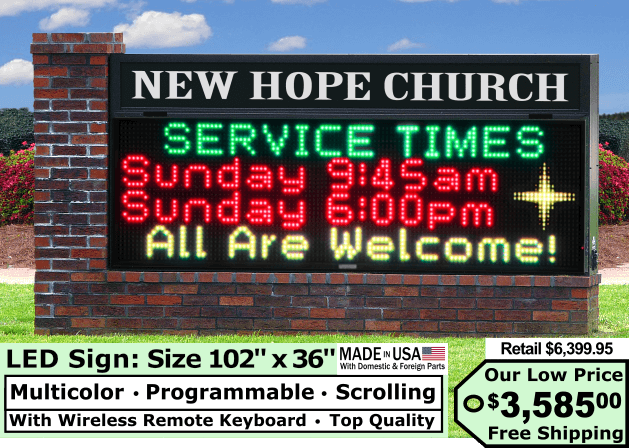 - Our LED signs have many stored images and font styles to choose from. All 20 sizes are multicolor with 256 shades and gradients of red, green and yellow. They display 1 and 2 line messages. 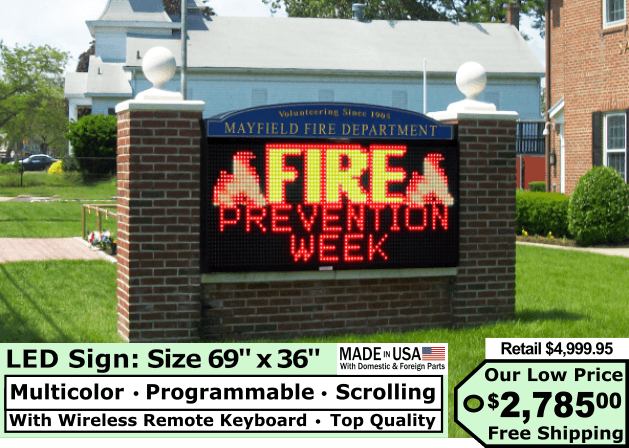 They can display up to 4 lines at a time on 36" high sizes. They can be displayed vertically and horizontally. They have date and time functions. They have a wide assortment of animated backgrounds including the American flag. There are built-in special effects with many variations. They include multiple 3D effects, scroll, reverse, pause, dividing, erasing, neon borders, rotating, flashing, adjustable width, animation, enlarge, reduce, by color, pattern, laser and more. - We are constantly improving the quality and performance of our products. 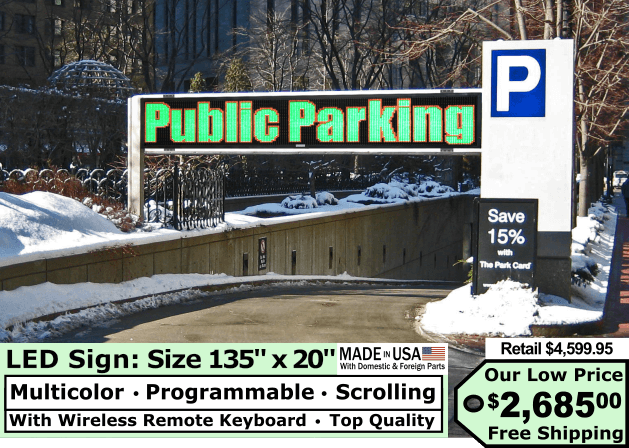 All 20 sizes are completely weatherproof for outdoor and indoor advertising. They are very durable, lightweight and only 3 inches thick. 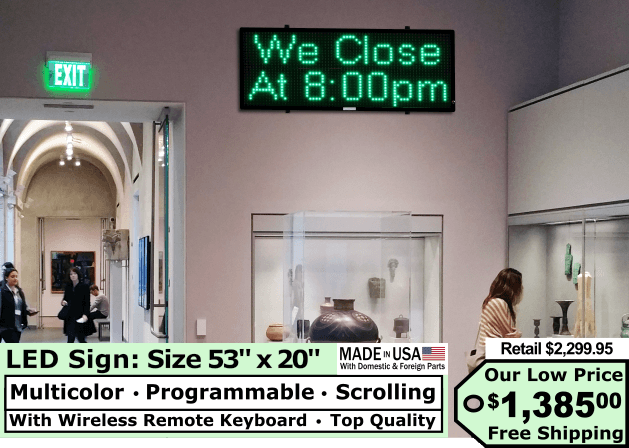 The frame is only 1 inch wide, which makes almost the entire sign a lighted display. The extruded aluminum frame keeps the weight low. The polycarbonate grill adds strength and heat resistance. The aluminum sliding back panel resists cracks and rust. The IP 65 rated silicone coating protects it from moisture. - Our LED signs attract customers to any type of business. Each sign contains thousands of LED lights. All 20 sizes have extremely bright moving messages, images and effects. They're around 10 times brighter than modern day flat screen televisions. They have 10 levels of adjustable brightness. They can be seen from a much greater distance than conventional signs. They're sharp and clear from up close and very far away. - All 20 sizes are the newest generation and state-of-the-art. Our signs are better, brighter and have more features than other LED signs. They have low energy consumption which saves up to 90% in energy costs. Advertise 24 hours a day with minimal power usage. They only use as much power as 1 or 2 normal light bulbs. They're completely silent. We use high performance LED modules and the highest grade Meanwell power supply. They are easily programmed with the included wireless remote control qwerty keyboard. We can build you a custom sign if you have particular requirements that you do not see on this website. Just call 888-885-7740888-885-7740. 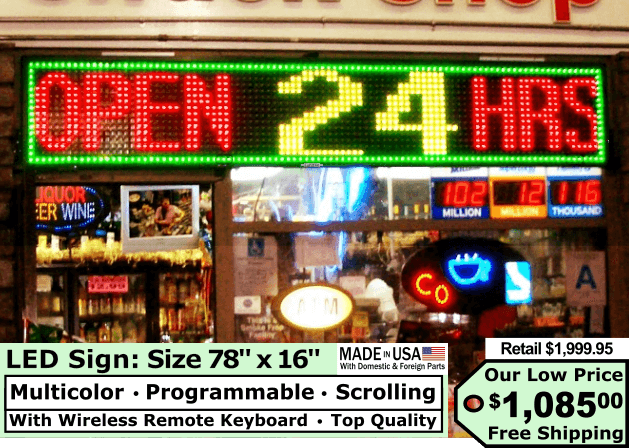 - All 20 sizes of our LED signs are Made in the USA with domestic and foreign parts. Our LED signs are built to a much higher standard than other LED signs. They're Metlab Certified, UL Compliant and CSA Compliant. 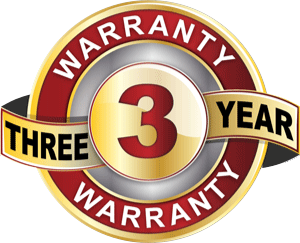 They come with a proof of certification label with a corresponding serial number which helps to verify that your sign is safe and meets local requirements. They are completely weatherproof with a sliding back panel that enables you to look inside. They have new advanced features. 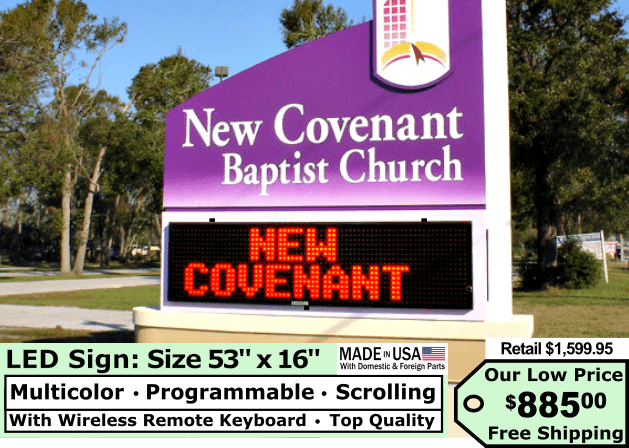 They are superior to other LED signs available on the Internet. 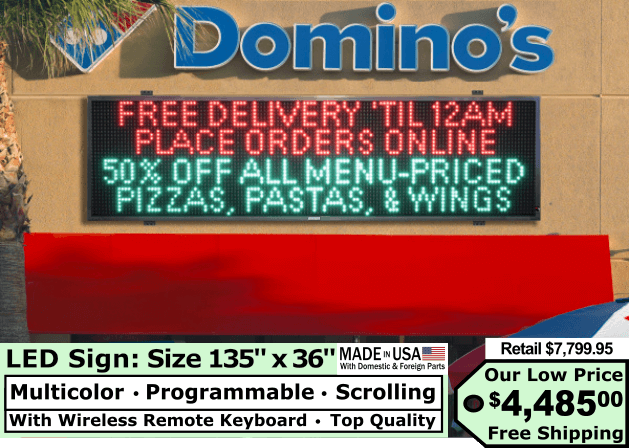 - Our LED signs come ready to go with everything you need. All 20 sizes are lightweight, weatherproof and already assembled. They come with an instruction manual, brackets and a wireless remote control keyboard. 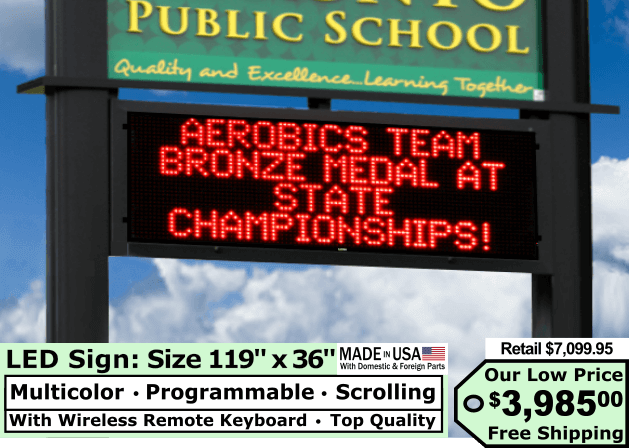 You can attach the brackets to anywhere on the top or the bottom of the sign. You can hang it yourself or use a handyman. Just plug it in a regular 110 volt electric outlet. They're simple to operate. 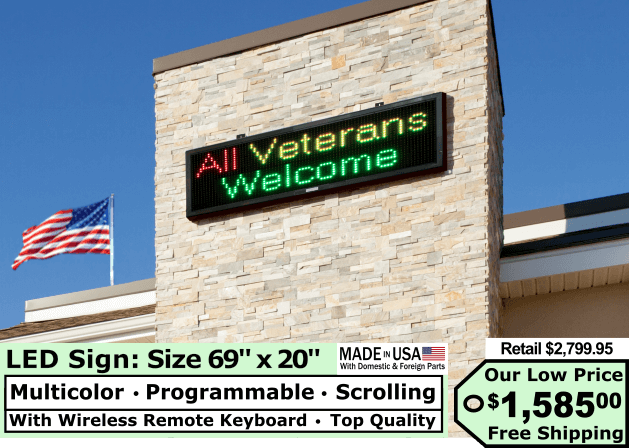 Order 2 LED signs to display on both sides of a pole or a monument. Order them in a master-slave configuration if you want to display the same information on both sides. 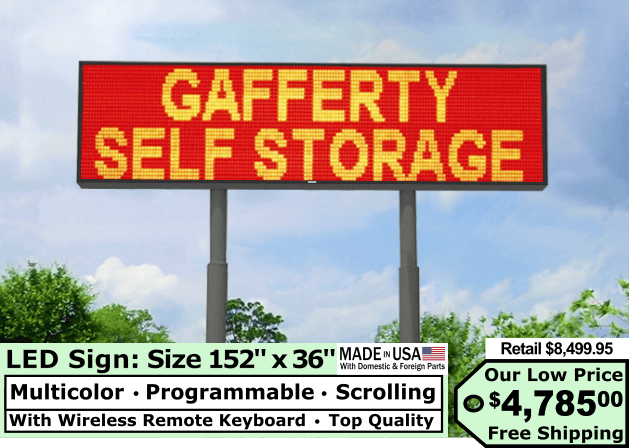 TV Liquidator LED Signs are a very powerful marketing tool for every type of business. Their colorful moving messages and images increase customer awareness 24 hours a day. 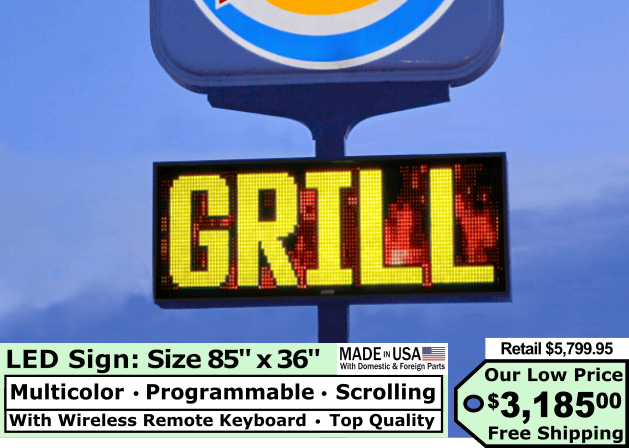 LED (Light Emitting Diode) sign owners see sales gain much more than when advertising with newspaper ads, direct mail, banners or other conventional advertising mediums. 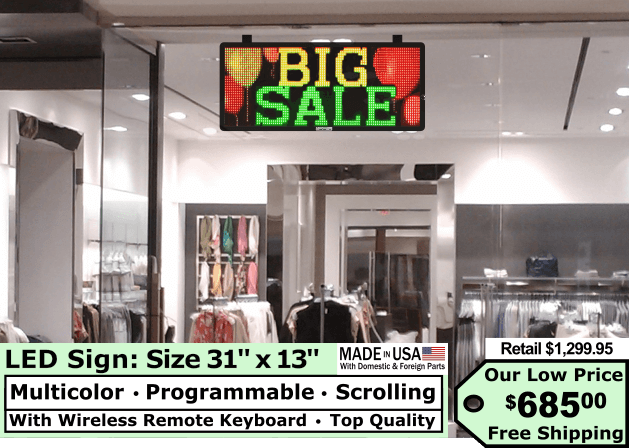 People today are attracted to a store that has digital signage. If 30 cars drive on your street per minute, that's 40,000 cars a day driving by your location. It would only take a small fraction of those potential customers to significantly improve your sales volume. 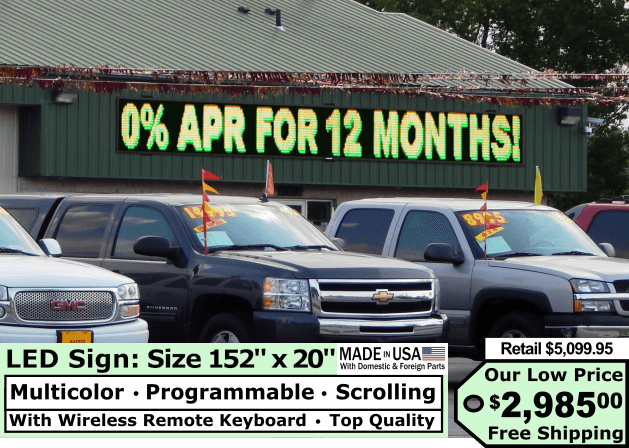 This is why the small business administration says that when businesses switch over to electronic message center signs, they can see upwards of a 150% increase in revenue. 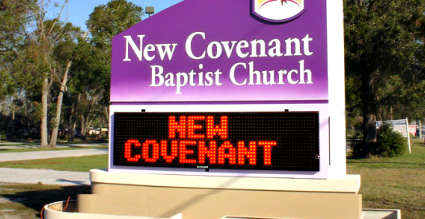 Our LED signs are helping many thousands of organizations and businesses. - We sell thousands of signs to thousands of organizations. 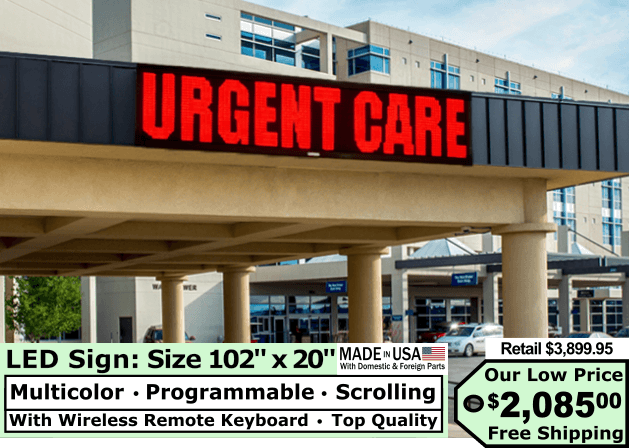 We're also a major supplier to hundreds of sign stores and Internet resellers across the USA and Canada. 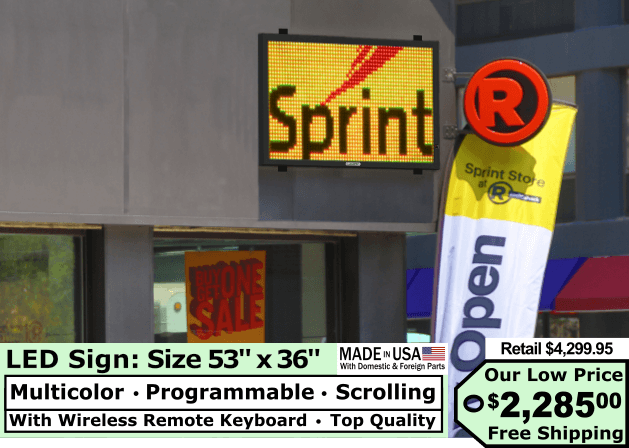 Thanks to our massive sales volume, we're able to offer the lowest prices on top quality LED signs. 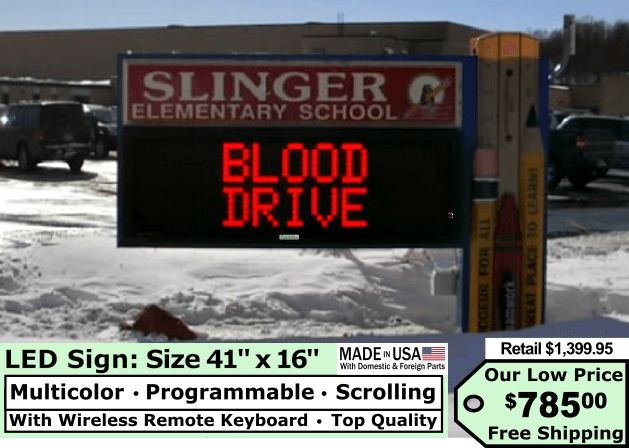 Sign stores and other Internet sites sell our signs for almost double our prices. You'll save a lot of money when you order a sign directly from us and have your handyman install it. We do not charge sales tax for customers outside of California and we ship for free. 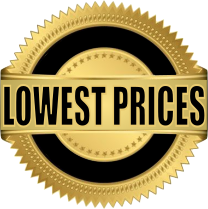 So the low prices that are shown on this website are the total prices. - We are a proud American company. Our corporate offices, showroom, manufacturing and shipping facilities are located in Los Angeles. We ship for free to anywhere in the United States and Canada . All 20 sizes have all of the features listed above. They are all in stock. We pack and ship your order within 1 to 2 business days. We ship large signs in crates for free. It only takes a few minutes to place an order over the phone. Just call 888-885-7740888-885-7740. 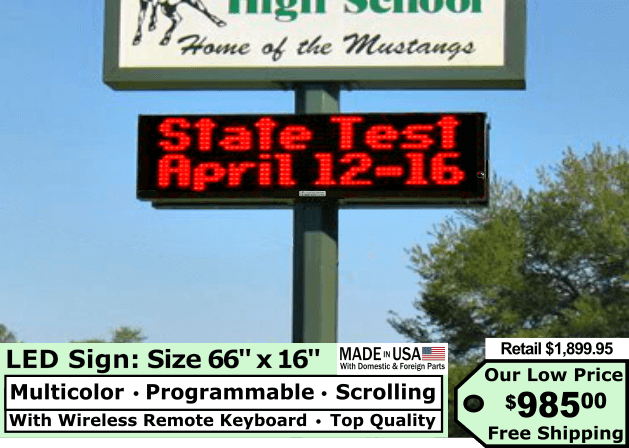 - We ship LED signs to every type of business and all kinds of government locations. No other company can match our experience and expertise. Our team of experts take all orders over the phone so we can make sure our customers are very satisfied and get exactly what they need. - Call us at 888-885-7740888-885-7740 or email us at info@tvliquidator.com. Our experts can answer your questions and help you with anything you need. We have free lifetime telephone technical support. 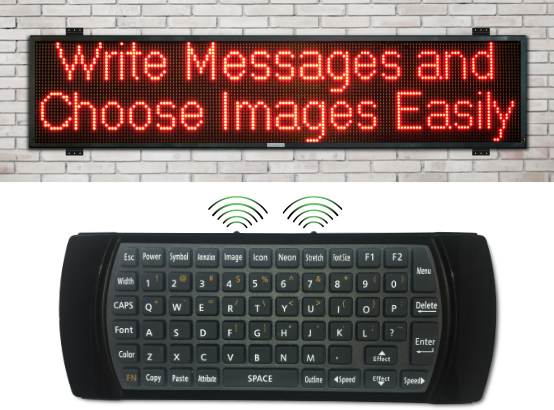 We can even show you how to program your sign with your wireless remote keyboard. We want to help you improve your business. We take care of our customers. Our customers are large corporations, small businesses and government agencies. They include thousands of stores, hotels, churches, schools and all types of businesses. 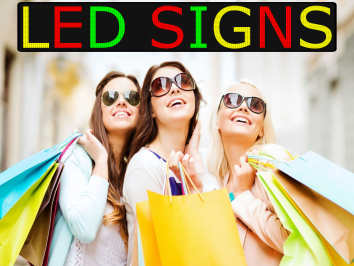 We also sell thousands of signs to sign retailers. 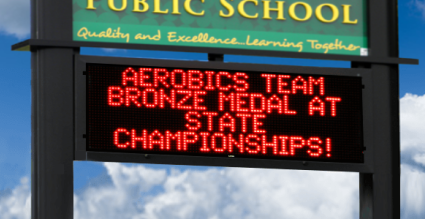 Everyone loves our LED digital display signs. They are very effective and can bring success to anyone in any industry.